The second annual AgTech Nexus Europe will return to Dublin this year on 7th December, once again convening an international group of investors, agribusiness executives, agtech entrepreneurs and farmers with a spotlight on the rapidly growing European agriculture technology market. Presented by Global AgInvesting, AgTech Nexus will focus on how technology can address the unique challenges and opportunities ahead of European farmers. 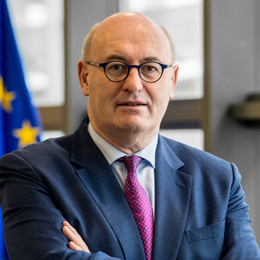 Environmental regulations, Common Agricultural Policy (CAP) reform, Brexit, trade disputes, labour shortages and market volatility – all of these are raising issues for European farmers in a world where there is increasing consumer concern and scrutiny on the provenance of their food. Such issues ride alongside farmers’ continuous need to increase their productivity and efficiency. AgTech Nexus is a one-day intensive look at agricultural technologies being developed and deployed in the EU and around the world, tackling these issues. Speakers will address how agtech start-ups can: help farmers improve environmental performance while increasing productivity sustainably; use technology to improve animal health & nutrition and; address labour issues through robotics and machine learning. Along with key networking opportunities, a highlight of the day will be a selection of promising agtech entrepreneurs offering a direct look at tomorrow’s agtech solutions and areas for investment. 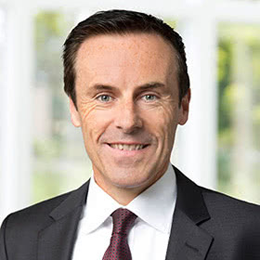 Featured presenter, Liam Condon, shares his vision for the future of agtech at Bayer. “And while innovation and progress are crucial moving forward, they will be meaningless without public acceptance. We recognize our heightened responsibility and we’re fully committed to further strengtheningtransparency. We plan to multiply our efforts to foster open dialogue with the general public to better connect farmers and consumers and to help explain that good food needs healthy fields and harvests – and innovation can help achieve that." Note: All transactions will be made using the United States Dollar (USD) and the current daily exchange rate. Prices are shown here using an exchange rate of $1 = €0.858. For more information, please visit the Venue & Fees page. Discounted Passes are available for certain strategic / agribusiness players and producers, and early-stage agtech companies. Contact us for details. 11:30 - 12:15 Producer Perspectives - What Challenges are European Farmers Facing?